The impact of iBooks Author, free vs usability, and Microsoft wants developers to level up. One down, two to go, Patriots-wise. Thankfully, this week’s game is on Sunday, so it doesn’t conflict with my son’s 17th birthday on Saturday. They grow up so quickly; I can remember him playing with his Comfy Keyboard, now he’s writing C code for robots. Thursday’s Apple announcement of Apple’s new iBooks Author package isn’t developer news per se, but I thought I’d drop in a few initial thoughts before jumping into the meat of the WIR because it will have an impact on the community in several ways. Most directly, it is another insidious lock-in that Apple is wrapping inside a candy-covered package. Since iBooks produced with the tool can only be viewed in full on iOS devices, textbooks and other material produced with iBooks Author will not be available (at least in the snazzy new interactive form) on Kindles or other ereaders. 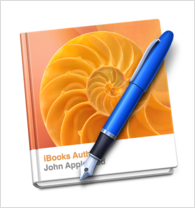 If Apple wanted to play fair, it should make the new iBooks format an open standard. Of course, this would cut Apple out of its cut of the royalties as well as yielding the all-important control of the user experience that Steve Jobs installed as a core value in the company. On a different level, this could radically change the textbook and publishing industry. It will make it easier to keep textbooks up to date and start to loosen the least-common-denominator stranglehold that huge school districts have on the textbook creation process. On the other hand, I can see a day when pressure from interest groups results in nine different textbooks being used in the same class, one of which ignores evolution, one of which emphasizes the role of Antarctic-Americans in U.S. history, etc. It’s also another step in the disintermediation of publishing since the cost of getting your book out to the world just dropped to zero (not counting proofreading, indexing, editing, marketing, and all the other nice things a traditional publisher does for a writer). I wonder if Apple is going to enforce the same puritanical standards on iBooks as they do on apps. What are they going to do when someone submits a My Little Pony / Silent Hill crossover fanfic as an iBook? I’ve been to Australia. I’ve had an animal cover book published. And now I’ve been called a moron (collectively) by Richard Stallman. As I’ve mentioned before, that position makes a few invalid assumptions. One is that people’s lives will be better if they use a crappy free software package over well-polished commercial products. In reality, the perils of commercial software that Stallman demonizes so consistently are largely hypothetical, whereas the usability issues of most consumer-facing free software are very real. For the 99.999% of people who aren’t software professionals, the important factor is whether the darn thing works, not if they can swap out an internal module. The other false premise at play here is that companies are Snidely Whiplash wanna-bes that go out of their way to oppress the masses. Stallman, to his credit as a savvy propagandist, has co-opted the slogans of the Occupy Wall Street movement, referring to the 1% frequently. The reality is that when companies try to pull shady stunts, especially in the software industry, they usually get caught and have to face the music. Remember the furor over Apple’s allegedly accidental recording of location data on the iPhone? Stallman’s dystopian future, where corporations use proprietary platforms as a tool of subjugation, has pretty much failed every time it’s actually been tried on the ground. I’m not saying corporations are angels, or even that they have the consumer’s best interests in mind, it’s just that they aren’t run by demonic beings that eat babies and plot the enslavement of humanity. Sometimes life as a software engineer may seem like a game, but Microsoft evidently wants to turn it into a real one. The company has announced a new plug-in for Visual Studio that lets you earn achievements for coding practices and other developer-related activities.